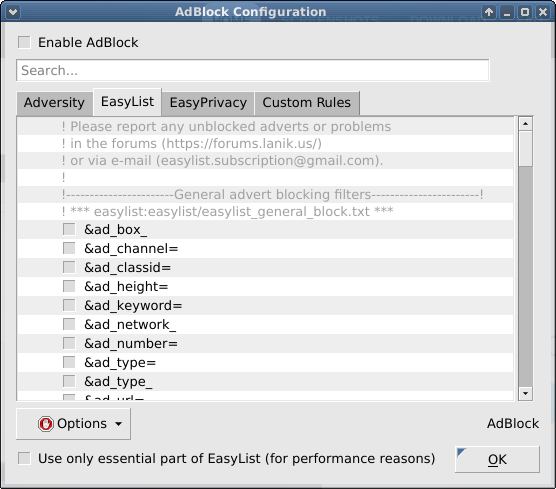 IT musings on Linux, PowerPC, Networking, and Security: Adblocking with Qupzilla! Recently there has been some controversy over Adblock Plus allowing Google pass through their filters for a fee. This has annoyed many people who use adblock for specifically to block them. A really good alternative has arisen for both Firefox and Chrome called uBlock. I have used it and can testify that it works great. Which brings me to a Qupzilla's native adblock plugin that is simply fantastic! It is on by default it is easily customizable. Just go to tools -> Adblock to make changes. Then you can make configuration changes to the plugin. Can you see your current subscriptions also you write your own! Under Options you can add a new subscription from either a list of predefined one or add one yourself. You can also remove and update your current subscriptions. It has has made improved my browsing greatly. 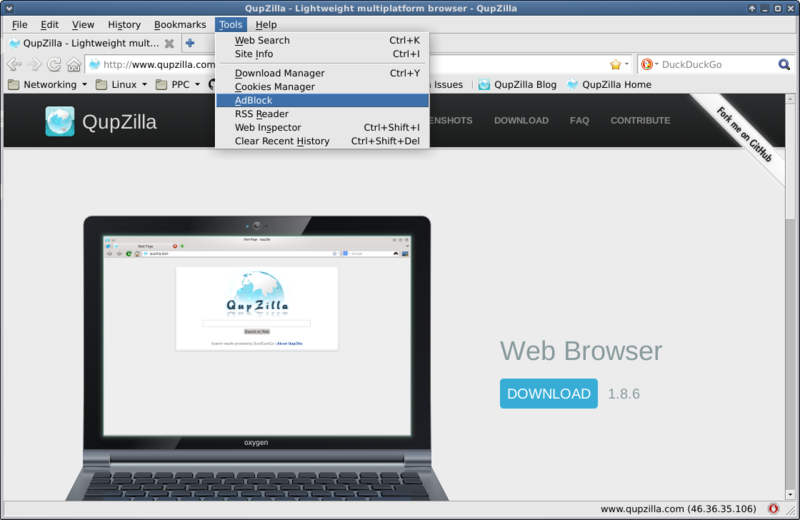 If you are using Qupzilla take the time and look at this feature. Ubuntu MATE to be an offical flavor soon! The Best Linux on PowerPC video on the Web!